Clean and potent power is also extremely important to sound quality. 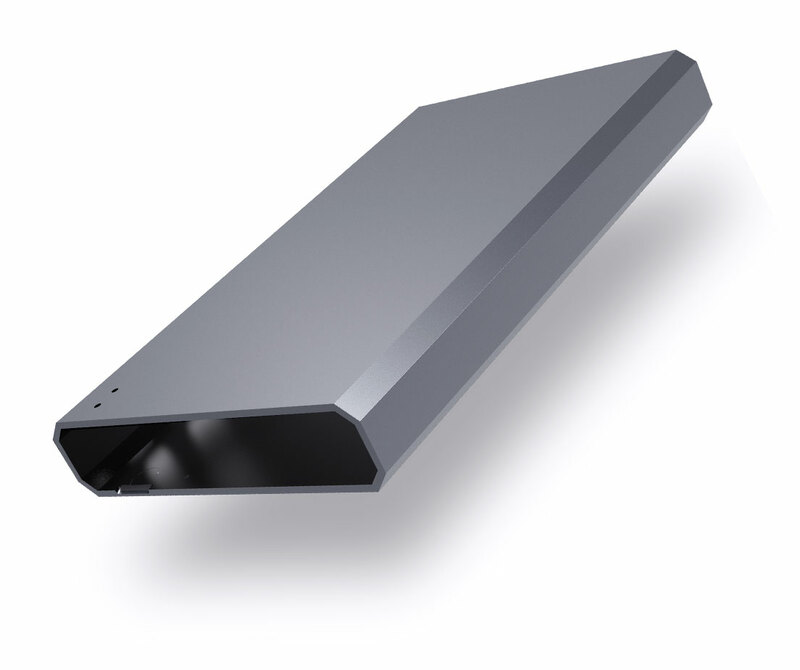 The A5 contains a highly efficient, low-resistance power management system as well as dual +/-11V supplied power. 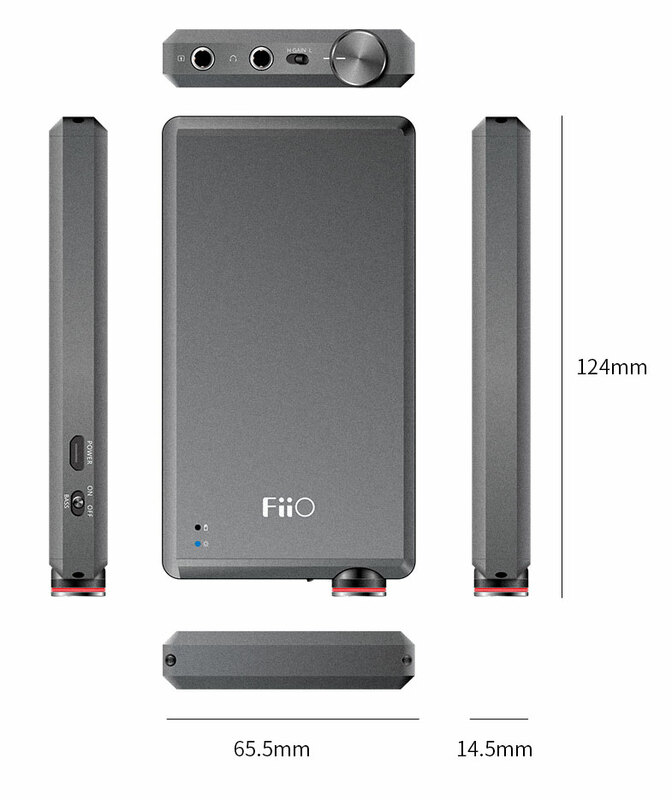 This is a significant increase over the E12A’s +/-7.4V supplied power and gives the A5 considerable power reserve that is unheard of among portable amplifiers. Finally, a +/- symmetrical power supply allows for the elimination of coupling capacitors. What does this all mean for the sound quality? Reduced distortion and increased dynamic range. The A5 continues to use the E12A’s highly effective MUSES02 + LME49600 opamp combo. In addition, all major components utilize high-precision metal film resistors. 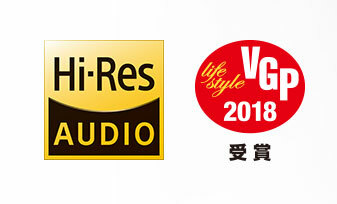 These factors, along with better design and component selection, allow the A5 to achieve a total harmonic distortion (THD) rating of almost 0 percent (lower than the E12A’s by 33 percent) and an improved signal-to-noise ratio of 115dB. All of these factors signify that the A5 has a gain level close to that of the E12, but has improved channel balance, lower noise floor, and overall a purer sound. All of these aspects mean that the A5 combines the best of both the E12 and the E12A. Beyond just getting output power near that of the E12 with 800mW at 32 Ω, you also get the E12A’s exquisite abilities in reproducing music. And with the low/high gain switch you can enjoy the A5 on all kinds of headphones, from the most sensitive IEMs to the most power-hungry headphones. 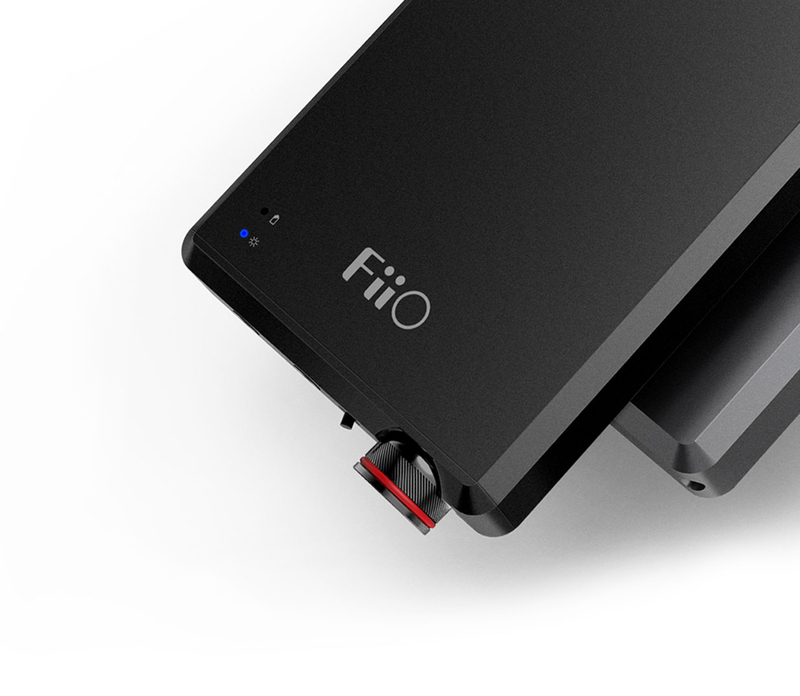 FiiO has strived to constantly progress and innovate with fresh ideas in the portable amplifier market since its own entry. With the A5, we continue this tradition by striving to significantly improve over our previous products, the E12 series. Every last detail of the E12 series has been reworked and revamped so as to create a new headphone amplifier that not only maintains the E12 series’ strengths, but also rises above them for an even better product. Instead of the brushed metal finish of our earlier amps, we elected to go with a sandblasted finish for the A5. In the sandblasting process, abrasive material is forcefully sprayed onto the body’s surface with highly compressed air. This ensures that the surface is not only more durable, but also allows the anodized paint that gives the A5 its unique look to last longer. By having the aluminum body subjected to this process, the A5 is both more robust and striking in appearance. Contained in the A5 is an 880mAh 3S (three cells in series) battery. The A5 can automatically adjust the amount of current to the 3S battery when charging by detecting your particular charging equipment. Whether you charge from your computer's USB port, your cell phone charger, or even your tablet's charger, you can be assured that the A5 will choose the safe and appropriate charging speed. With a 5V/2A charger, the A5's battery can befully topped up in 2.5 hours – faster and more convenient compared to other similar products. And despite the A5's high power output, the amp still lasts for a lengthy 13 hours. We decided to break away from our design traditions when creating the A5. Take, for instance, the design of the volume knob. Inspired by string instruments, fifty-six 45° lines are etched onto the knob’s surface. 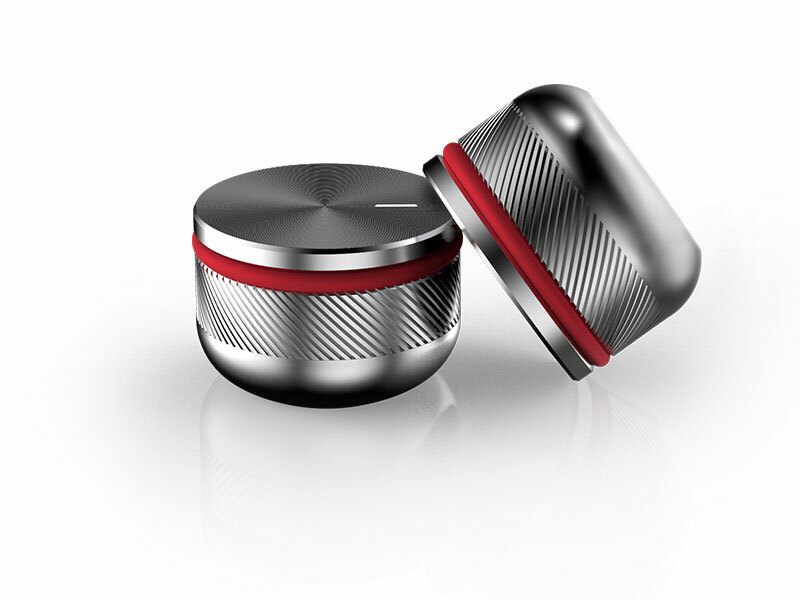 The laser- inspired red ring that adorns the knob gives it a distinct, characteristic look. 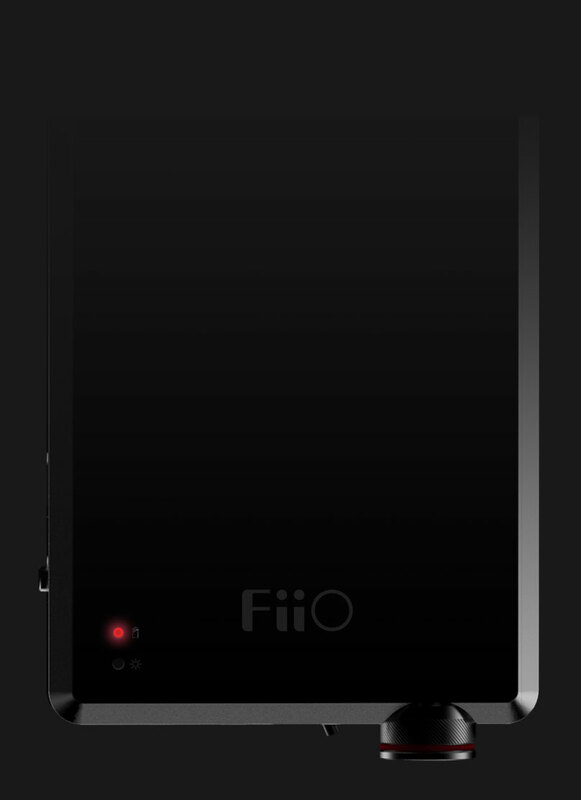 The A5 has an LED specifically designed to let you know device’s charging status immediately. Depending on the amount of current when charging, the LED will blink at an appropriate rate which allows you to quickly determine the present charging speed. There is also a working status indicator that lets you immediately know whether the unit is on or off. For the sake of creating an ever better product, no detail could be overlooked. The headphone connector was no exception. 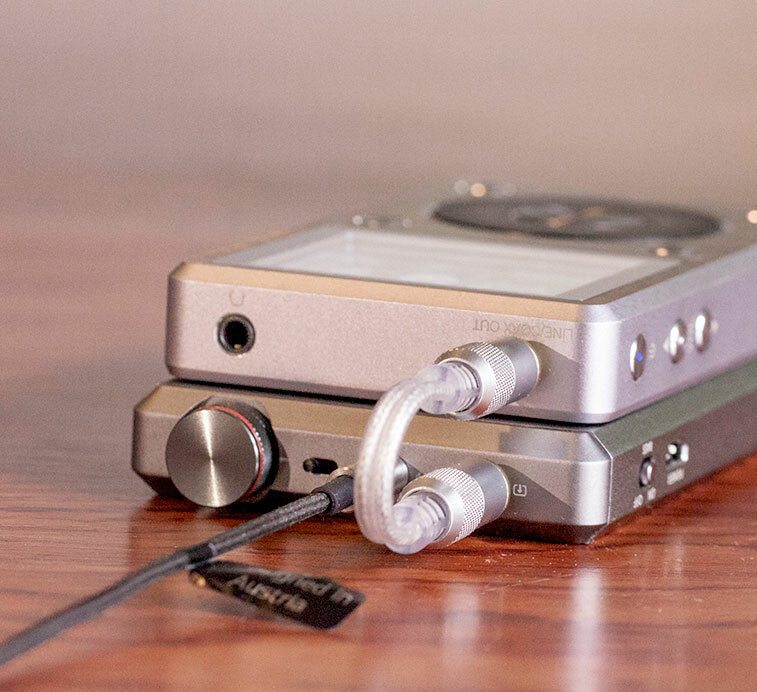 For the first time, we use a CNC stainless steel headphone connector ring, replacing the previously used copper. A plastic ring is pressed into the gap between this connector ring and the rest of the body, ensuring it is seamlessly integrated with zero gaps. Not only is this more aesthetically pleasing, the headphone connector is also sturdier due to the non-existent gaps and the use of harder stainless steel.